You are all set my friend. Just check your email for all the particulars.  With The Coaches Collective, Jo Casey has created a super welcoming space for coaches to connect, share and learn from each other. Her warmth, passion for coaching and supporting others is absolutely infectious and really fuels the soul of this community and I love being a part of it! Exclusive trainings, freebies and giveaways just available within the collective. Allocated days of the week where I’m available to give specific feedback on your ideas – from web copy, to packages, blog posts to sales pages – I’m in there giving you targeted, loving and strategic feedback (without you having to pay my one on one consulting fee). This is a space to share, hold space and support one another. It’s a safe space where you can share your challenges, and celebrate your successes. No more getting stuck in your head, wondering if your latest idea is crazy brilliant or just plain crazy. No more isolation and wondering what step to take next.